Yesterday morning San Francisco-based Occipital launched Structure Sensor—the world’s first 3D scanner for iPad—on Kickstarter with a fundraising goal of $100,000. By this morning, they had not only met their goal, but surpassed it to reach a whopping $323,321 (and counting)! 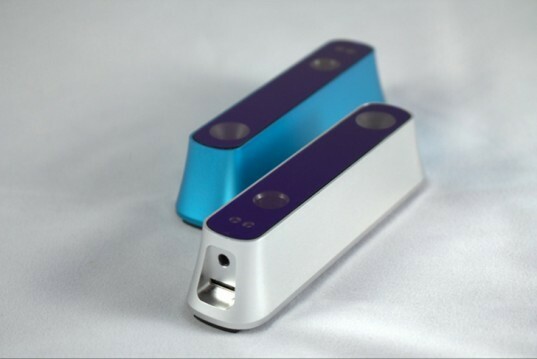 So just what is it about the Structure Sensor that’s captivating so many people? In the wake of the past year’s massive 3D printing boom, 3D scanners are, invariably, the next big prosumer gadget. The scanners are pretty much what they sound like: they allow one to capture the dimensions of an object so as to print out a precise replica on your 3D printer. MakerBot is set to release their Digitizer scanner later this month, and Matterform is just beginning to roll out their affordable scanners. But these scanners are tethered to a desk—not great for capturing items while traveling or objects that are fixed in awkward location. The most affordable handheld scanner to date is the Fuel3D (also the result of a very well-funded Kickstarter campaign), which was dubbed as the first full-color handheld 3D scanner for under $1000. 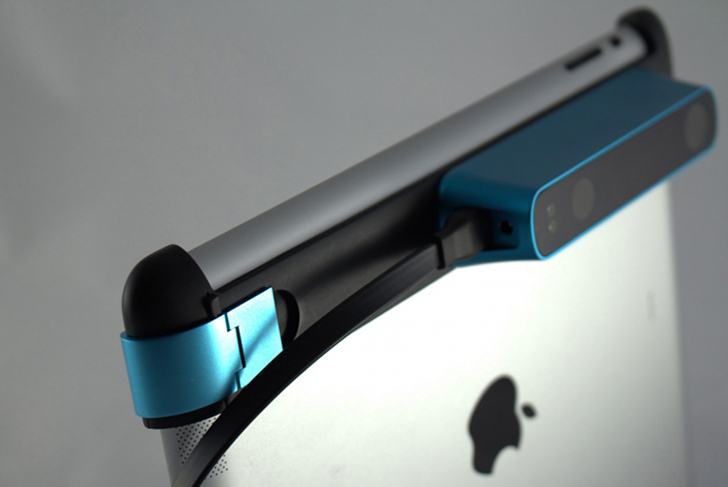 Occipital’s Structure Sensor is even cheaper. Admittedly, one does have to first purchase (or own) an iPad, but after that the entire kit comes for $349—and you can knock $20 off that price as an early bird adopter on Kickstarter. It consists of a small aluminum dual infrared LED unit that clips to the back of your iPad and connects through the lightning port. The device can not only do a full 3D scan of an object, but it can scan entire rooms and record the dimensions. It also enables users to create augmented realities for gaming whereby the game world is the real world. The IR LEDs even gives your iPad night vision. Additionally, the structure sensor features its own four hour battery so as not to drain your iPad. And there’s some pretty phenomenal hype surrounding the Structure Sensor – hype that’s coming from other 3D printing firms. MakerBot CEO Bre Pettis said “can’t wait to play with one of these around the Makerbot office”, while Josh Levine, VP of Engineering at Shapeways finds that “[f]or me the challenge has been in creating 3D objects. This completely obliterates that challenge.” For those that are dubious amid the hype, the video below of the Structure Sensor in action may well dispel any lingering uncertainties. Yesterday morning San Francisco-based Occipital launched Structure Sensor—the world's first 3D scanner for iPad—on Kickstarter with a fundraising goal of $100,000. By this morning, they had not only met their goal, but surpassed it to reach a whopping $323,321 (and counting)! So just what is it about the Structure Sensor that's captivating so many people?